The government’s attitude and approach towards internet issues can generally be described as positive. The Swiss legislature strives to keep laws technology-neutral so that new developments can easily be accommodated and issues addressed within the existing legal and regulatory framework. This enables businesses located in Switzerland to make optimal use of upcoming technologies and advancements and efficiently adapt their business models and processes as required or desired. Additionally, there have been several governmental initiatives on this topic, some of which are specifically aimed at promoting and facilitating e-commerce in Switzerland, such as the ‘Digital Switzerland’ strategy published by the Swiss Federal Council. Switzerland has no law tailored to doing business online. Generally, contracts made through online channels are governed by the same provisions as standard offline contracts. Some e-commerce-specific regulations are found in the Unfair Competition Act, the Telecommunications Act and the Code of Obligations, among others. The distinction between business-to-business and business-to-consumer transactions is marginal. There is no separate body of laws or rules for business-to-business deals, but for business-to-consumer contracts some restrictions apply in terms of consumer protection. Where such restrictions apply, they are mentioned in the answers to the respective questions below. There is no legislative or regulatory body dedicated to passing legislation on doing business online. However, legislative and regulatory bodies in other fields, such as data protection or unfair competition, may regulate e-commerce issues where they concern their respective fields. The Federal Data Protection and Information Commissioner (FDPIC) is the federal data protection authority in Switzerland. In addition, cantons are competent to establish their own data protection authorities for the supervision of data processing by cantonal and communal bodies. Regarding internet access tariffs and charges, the government has to ensure that a reliable universal telecommunication service is provided for the whole population in all parts of the country at affordable prices. This includes basic internet access as determined by the Federal Council from time to time and is currently defined as an internet connection with transfer rates of at least 3000 kilobits per second (kbit/s) downstream and 300kbit/s upstream for a monthly charge of a maximum of 45 Swiss francs (excluding VAT). However, most people opt for a faster connection for which the prices are not regulated. The Swiss Federal International Private Law Act (IPLA) governs the jurisdiction of Swiss courts in international matters, provided that no treaties are applicable (the most prominent of which is the Lugano Convention on jurisdiction and the recognition and enforcement of judgments in civil and commercial matters 2007. (New Lugano Convention)). Generally, the courts of the defendant’s domicile have jurisdiction under the IPLA, unless specific provisions provide otherwise. In the case of contracts, the Swiss courts at the place of performance have jurisdiction if the characteristic obligation is performed in Switzerland. For consumers, different rules apply. Consumer contracts are defined as contracts for goods and services that are for usual personal or family consumption and are not connected with the professional or business activity of the consumer. Mandatory provisions regarding consumer contracts apply to internet business-to-consumer transactions irrespective of the channels used and cannot be excluded by contractual agreement. The Swiss courts of the consumer’s domicile or ordinary residence or of the offeror’s domicile or ordinary residence have jurisdiction, at the discretion of the consumer, which cannot be waived in advance. The offeror can take civil action against the consumer in accordance with the general contractual rules set out above (that is, the consumer’s domicile or ordinary residence, or the place of performance). There are no special requirements concerning the formation of contracts online (but see question 6 for rules on offering products online). Swiss law allows for contracts to be concluded electronically, which requires a manifestation of the parties’ mutual assent to the contract’s essential elements. The content of the acceptance must be identical to the offer, which requires that the customer be informed in detail about the offered product and the price. The intention to enter into a contract can be manifested, for example by clicking on a ‘Yes’ icon (in ‘click-wrap’ agreements). It is not clear whether the presentation of products on a website is considered an offer or an invitation to bid. According to prevailing opinion, such presentations do not constitute an offer but merely represent catalogues of offered products, - that is, offers to bid. Therefore, generally it is the customer who makes an offer by sending in a completed order form or by clicking on the corresponding icon (‘Buy’ or ‘I agree’). Only under particular circumstances can a website presentation be considered a binding offer (for example, when the presentation is an offer that contains all the essential contract elements (including the price) in such a way that the customer can accept it just by clicking ‘Yes’). If a seller does not want the website presentation to be considered a binding offer, then this should be explicitly stated on the website. There is no equivalent to EU customers’ mandatory withdrawal rights provided for in the Consumer Rights Directive 2011/83/EU and corresponding member state implementation laws for online sales in Switzerland, and none is currently planned. There may be withdrawal rights provided for under soft law, such as the code of honour of the Association of Swiss Mail Order Businesses, although this only applies to members of the association. confirm the order without delay by way of electronic communication (for example, a confirmation email). These rules apply irrespective of the goods or services purchased and without distinction between business-to-business and business-to-customer transactions. However, breach of these rules does not necessarily lead to a contract being unenforceable or void. Rather, the contract’s legal force must be assessed independently on a case-by-case basis with particular regard to defects in consent. If such defects are present, the contract can, in certain circumstances, be contested. Business-to-customer offers are further regulated. For every product, its actual price (including VAT, if applicable, and any other mandatory surcharges) must be indicated in Swiss francs in a clear and easily readable manner. In some cases, this obligation encompasses not only the actual price for the specific offered item, but also additional information, such as standardised prices (for example, price per litre). The State Secretariat for Economic Affairs has published non-binding guidelines on price indication in various industries, which can be accessed on its website. The Code of Obligations sets out the principles governing e-signatures and refers to the Electronic Signatures Act (ESA) for the technical details, which in turn refers to its respective ordinance. An electronic signature is defined as electronic data which is joined or linked logically to other electronic data and which serves to authenticate such other data. The ESA distinguishes four levels of e-signatures: regular e-signatures, advanced e-signatures, regulated e-signatures and authenticated e-signatures. Authenticated e-signatures in combination with an authenticated time stamp is deemed equivalent to a handwritten signature. Regulated e-signatures are not deemed equivalent to handwritten signatures; however, they may be used, for example, to confirm the authenticity of electronic invoices or to guarantee the integrity of electronically archived documents. Both authenticated and regulated e-signatures can only be obtained from a recognised provider of certification services. A list of all such providers in Switzerland is available on the competent federal authority’s website. Authenticated e-signatures are treated like handwritten signatures. Therefore, e-signatures cannot be used where the law sets out additional formal requirements - for example, in the case of a will (which must be handwritten in its entirety) or real estate deals (requiring a public deed). Additionally, authenticated and regulated e-signatures are only available for natural persons, not for legal entities. Natural persons can, however, electronically sign on behalf of a legal entity using their personal authenticated e-signature. In addition, entities in possession of a unique business identification number may obtain a regulated electronic seal, which is essentially equivalent to a regulated e-signature. Although e-signatures were introduced over 10 years ago, their use in Switzerland is very limited. Only a small percentage of the population actually has an e-signature to date. This may be explained by Swiss law’s freedom of form, enabling the parties to contract without formal requirements in most cases, as well as the relatively high cost and complicated application of e-signatures and finally by the prepayment policy applied by many online businesses, shifting the risk to the customer, who needs to trust that the other party will indeed fulfil its contractual obligations. Since payment has already been received, such online businesses generally do not have the need to verify the other customer’s identity. There are no data retention requirements that apply specifically to data collected and processed via electronic contracts. In terms of documenting concluded contracts, the general rules on corporate book keeping prescribe a retention period of 10 years for books and records relevant to presenting the assets, financing and earning positions. For the requirements regarding storage of personal data in general, see question 29 and what follows. Apart from the data documenting the conclusion of a contract, it is advisable to store data records of the customer’s agreement to mass advertisement, since without his or her consent, such advertisement can be considered unfair competition (see question 37). Also, the customer’s consent to the processing of his or her personal data, if required, should be documented. unauthorised alteration, copying, access or other unauthorised processing. the current state of the art (especially currently available technology). input control: in automated systems, it must be possible to carry out a retrospective examination of what personal data was entered when and by whom. In addition, the EU’s General Data Protection Regulation (GDPR) may also apply to businesses operating in or from Switzerland and therefore the respective security requirements, which may be more encompassing than those under the DPA, must be met. Authorities in civil, criminal or public procedures can compel parties to such procedures or even non-involved third parties to disclose certain information in accordance with such parties’ duty to prove or disprove disputed facts before the respective authority. This may include information that is stored in an encrypted format, in which case the party in question has to disclose the information in an unencrypted, readily accessible format. Available enforcement mechanisms depend on the type of procedure and the role the person concerned has in such procedure. Under the ESA, providers of certification services must be recognised by an accredited certification body. Regulations governing certification bodies and providers of certification services are contained within the ESA and corresponding ordinances as well as the Federal Act on Technical Barriers to Trade. Both certification bodies and providers of certification services are liable towards holders of regulated and authenticated e-signatures as well as third parties for damages resulting from non-compliance with their obligations under the ESA and its implementation provisions. Data protection law provides for certification of products intended for processing of personal data. Manufacturers of data processing systems or programs as well as private persons or federal bodies that process personal data may submit their systems, procedures and organisation (which usually encompass encryption as means of data security) for evaluation by recognised (ie, accredited) independent certification organisations. There are no specific provisions on the liability of such certification organisations; hence the general rules of liability apply. any other gTLD obtained by a Swiss public body (for example, the .zuerich domain, assigned to the canton of Zurich). In 2015, the previous Swiss system of a single entity combining the functions of registrar and registry was abolished. Nowadays, there still is only one registry, the Switch foundation, but the market for registrars is open. While for a .ch domain name , residency is not a requirement, registration of domain names in the .swiss TLD is available exclusively for persons or entities with a sufficient connection to Switzerland, such as having their residence or seat in Switzerland or being Swiss citizens. The .ch domain names are registered on a first-come, first-served basis. There is no review for trademark infringements. The owner of such an infringed trademark must take civil action to delete or transfer the domain in question. For .swiss domain names, other distribution criteria apply, which are set out in detail in the IDO. Generally, domain names do not confer additional rights. Under certain conditions, however, claims based on unfair competition may be available, in particular against other confusingly similar domain names. Registrars do not cross-check registrations for domain names for possible trademark infringements. However, a registered trademark grants its owner protection against the registration of domain names that are identical to its trademark as well as domain names which may be mistaken for the registered trademark, provided that such domain names are used in connection with the sale of goods or services for which the trademark is registered. Certain exceptions apply as regards famous trademarks. There is no law that exclusively regulates advertising on the internet. However, the Unfair Competition Act contains general principles on what constitutes unfair advertising. As a general principle, advertisements must not be inaccurate or misleading. For example, unnecessarily disparaging other products, using inapplicable titles or job titles or taking measures to intentionally cause confusion about products is deemed unfair. Comparative advertising is permitted if it follows the general principles of being accurate and not misleading. More detailed provisions are contained in soft law. In 1966, the advertising industry established the widely respected Swiss Commission for Fairness. Its guidelines on fairness in commercial communication apply to all kinds of commercial communications and contain specific provisions, among other things, on: using the term ‘Swiss’ or academic titles; the duty to declare the company name in advertisements; comparative advertising; and separation between editorial and commercial information. In its function as a monitoring organisation, the Commission handles complaints from both competitors and consumers. In handling such complaints, the Commission applies its own guidelines, the rules of the International Chamber of Commerce and, if existing, bilateral agreements (for example, the agreement between the Commission and the cigarette industry) and specific codes of conduct (for example, the code signed by the Swiss alcoholic beverages industry). Online advertising is not specifically regulated. As a general principle, advertisements must not be inaccurate or misleading. See question 14 for more details. With respect to gambling, under the Swiss Federal Act on Gambling Houses (GHA), the use of a telecommunication network such as the internet for carrying out games of chance is currently prohibited. This may change under the new Federal Act on Gambling (FGA) which is, however, still subject to a referendum. See question 43. With respect to adult content, under the Criminal Code, it is prohibited to offer, display, transfer, make available or disseminate through radio or television any documents, audio or video recordings, pictures or presentations with pornographic content to minors under 16 years of age. The usual precaution used by ISPs is to verify the age of website visitors. The Swiss Federal Supreme Court held in two decisions in 2005 that an ‘adult checker’, where a visitor either simply clicks on a button confirming that he or she is 16 years old or older, or enters his or her date of birth (which cannot be further verified by the service provider lacking name and address of the visitor), is not sufficient for the purposes of youth protection. Both decisions related to content providers. The sale of medical products is generally regulated, including advertisements for such products and services. Those regulations are mostly not specific for online trade, but apply in the same manner as in traditional channels. For example, medicinal products (drugs) cannot generally be sold online and shipped to consumers unless those consumers have provided the seller with their prescription beforehand. According to the Supreme Court, this applies even for non-prescription medicinal products - that is, those that can be bought in any pharmacy or drugstore without consulting a physician first (Decision 2C_853/2014 and 2C_934/2014 of 29 September 2015). Depending on the product or services sold, additional regulations may apply. The civil and criminal liability of content providers and ISPs for content on the internet is to a large extent governed by the same rules that apply in an offline context. In general, the author is primarily liable for infringing content. In criminal law, other parties such as ISPs may also be liable if they wilfully assist the author in committing a crime or, under certain conditions, if the author cannot be identified or cannot be brought to court in Switzerland (criminal liability of the media). Under civil law, ISPs are obliged to remove unlawful content, whereby fault on the part of the ISP is generally not required. In case of fault of the provider, claims for damages may be available according to the general rules also applicable in an offline context. See question 20 for further information regarding liability for defamation and other personality right infringements. In addition, the draft of the revised Federal Copyright Act (FCA) sets forth that providers of internet hosting services will under certain conditions be obliged to prevent copyright infringing content that has been removed from the provider’s hosting service from being made available again on this service. Further, the new FGA includes an obligation of ISPs to block access to unauthorised foreign online gambling sites. However, the draft of the revised FCA is still subject to parliamentary debate and the new FGA is subject to a referendum. It is therefore uncertain whether and when these provisions will enter into force. The provision of financial services is regulated by financial market legislation. Those regulations are mostly not specific for online trade, but are designed to be technology-neutral and therefore apply online in the same manner they apply to traditional offline channels. For the advertising and selling of many financial products, a licence is required, such as a banking, securities dealer or insurance licence. In addition, anti-money laundering obligations often apply in connection with financial services. The competent authority regulating such services is the Swiss Financial Market Supervisory Authority. According to general rules, the author is primarily liable for any defamatory or similarly offending or infringing content. However, the Federal Supreme Court decided in a matter concerning blog hosting that the entity providing hosting services for a blog infringing a third party’s personality rights is equally liable for removing such content (Decision 5A_792/2011 of 14 January 2013). The Supreme Court held that Switzerland, unlike other states, has not implemented an exemption of liabilities (civil or criminal) for ISPs. It applied the general rules on infringement of personality rights, stating that anyone participating in such infringement can be compelled to remove the material in question. This applies regardless of the ISP’s knowledge or ignorance of the infringing content. In addition, the defendant was sentenced to pay the claimant part of his legal fees. Damages were not claimed so the decision is silent in this respect, but it is generally assumed that such claims will require fault on the side of an ISP. Since ISPs are liable for infringing content, they must shut down or remove any such content or risk civil actions being brought against them. However, in doing so they may be exposed to contractual liability towards their customers, especially in case of wrong assessment of the content’s infringing nature. A party that deems its rights to be infringed will typically seek redress by claiming injunctive relief from the competent court, which may issue a corresponding order without hearing the ISP in question in advance if it deems an infringement plausible and especially urgent. ISPs may reduce the risk of such liability towards their customers by contractually reserving their right to remove content that they, according to their own reasonable assessment, deem to be unlawful or in violation of their terms of service. There are no court decisions to date regarding permissibility of hyperlinking without the target page owner’s consent. It is, however, recognised that a simple hyperlink from one website to the homepage of another website does not normally raise concern, even if the content of the latter is copyright-protected, as the use of such hyperlink may be equated to the use of footnotes to refer to other sites. Generally speaking, no permission is required to make a hyperlink to the homepage of another site because the website owner is deemed to have given an implied licence to link by posting material on the internet. Deep linking is more problematic than hyperlinking because it connects a user directly to secondary material on another website, bypassing that website’s homepage which usually identifies the owner of the website. Some authors believe that deep linking might infringe a website owner’s moral rights - that is, its right to recognition of authorship or its right to the integrity of the work. It is more likely, however, that under certain circumstances, deep linking constitutes unfair competition, especially for commercial websites. By avoiding the linked site’s homepage, a deep link bypasses the website owner’s revenue-producing advertising and corporate information, which are usually located on the homepage. Deep links can, therefore, harm the website owner’s commercial interests. Framing - that is, using browser software to ‘frame’ content from another online source - is problematic because the user sees the original website content which can be copyright-protected, framed by a different website, with a different URL, and possibly with different logos and advertising. Similarly, inline links create a reference to content from another website such that secondary material appears to be content originating from the first site. It is recognised that the practices of framing and inline linking constitute acts of reproduction, because a copy of the material is made in the user’s computer memory. It may also give a user the impression that third-party offers presented within the frame come from the linking party whose frame surrounds the offer. The author’s right to recognition of authorship, the right to the integrity of the work or the right to determine the manner in which the work is exploited may be infringed. Furthermore, such misleading presentation may constitute unfair competition according to some authors. Caching is exempted from copyright protection, if it is only ephemeral or ancillary and does not have its own economic significance. Spidering - that is, using automated algorithms (‘spiders’ or ‘bots’) to gather information about publicly available websites - is generally permissible as well, as long as no copies of copyrighted material are made. In some cases, however, spidering may be considered unfair competition, particularly if marketable work results of third parties (such as entries on an online real estate marketplace) are taken over and used through a technical reproduction process without sufficient additional effort (see, for example, decision of the Cantonal Court of Fribourg of 22 August 2016, in Case No. 102 2015 189). The Court of Appeal of the canton of Thurgau ruled that a business buying a competitor’s trademark in Google’s AdWords system does not necessarily infringe trademark or unfair competition law, particularly if the trademark in question does not appear in the respective advertising material itself (decision of 7 September 2011 in Case PO.2010.8). Correspondingly, the Cantonal Court of Lucerne decided that a trademark was infringed in a case where a Google AdWords result commissioned by another party contained the distinctive elements of the respective trademark (decision of 9 January 2015 in Case DOK 000 006 302). However, both cases have not been appealed to and decided by the Supreme Court. The permissibility of the use of competitors’ trademarks as metatags is not clear. Scholars are divided on this question without one opinion prevailing. The Commercial Court of Aargau ruled in 2001 that such use is not generally inadmissible, but rather its legitimacy depends on further circumstances in each specific case (decision of 10 April 2001 in Case OR.2000.00033). Computer programs are copyright-protected. The owner of a website can exploit the software used for such website within the usual limitations of copyright law - namely licensing is permissible provided that the owner of the website holds the right to sub-license the software in question from the owner of the software. Generally, there is no liability for the content of third-party websites. However, linking to a website containing illegal activities or services can lead to criminal liability if the target website’s content is in any way endorsed by the person or company setting the link. Providing video content online is not specifically regulated. In general, the authorities do not act on their own accord in cases of IP infringement, but only upon request by the IP owner whose rights have been or are threatened to be infringed. In criminal proceedings, measures such as dawn raids are available but are generally only used in more severe cases. For the civil remedies available to IP owners, refer to question 28. However, customs authorities may withhold items which they suspect infringe Swiss intellectual property rights and notify the owners of the respective rights. An IP owner can, if its intellectual property rights are infringed or threatened to be infringed, request the competent court to prohibit an imminent infringement, remedy an existing infringement or to require the defendant to provide information on the origin and quantity of items in its possession that have been unlawfully manufactured or placed on the market and to name the recipients and disclose the extent of any distribution to commercial and industrial customers. The court may also order the forfeiture and sale or destruction of the unlawfully manufactured items as well as of equipment, devices and other means that primarily serve to manufacture such items. An IP owner that deems its rights to be infringed or threatened will typically request injunctive relief from the competent court, which may issue a corresponding order without hearing the defendant in question in advance if it deems an infringement or threat plausible and especially urgent and if the possible infringement threatens to cause not easily reparable harm to the IP owner. The court may order any measure suitable to prevent the imminent harm, which may include search orders and ‘freezing’ injunctions to preserve the existing state of affairs for evidentiary purposes. As regards soft law, the Swiss Internet Industry Association (Simsa) has adopted a code of conduct regarding hosting services, which encompasses a notice and takedown procedure. However, the code is only binding upon those of its members (and other providers) which carry the ‘simsa Swiss Quality Hosting’ stamp of quality. Personal data is defined as all information relating to an identified or identifiable person (natural person or legal entity). A person is identifiable if a third party having access to the data on the person is able to identify such person with reasonable efforts. In addition, the DPA lists ‘sensitive personal data’ and ‘personality profiles’ as special categories of personal data that are subject to stricter processing conditions. Sensitive personal data is data on: religious, ideological, political or trade union-related views or activities; health, the intimate sphere or racial origin; social security measures; and administrative or criminal proceedings and sanctions. A personality profile is a collection of personal data that permits an assessment of essential characteristics of the personality of a natural person. The DPA is currently undergoing revision and a draft for the revised DPA was published in September 2017 proposing, among a number of other changes, a limitation of the scope of the revised DPA to personal data of natural persons. However, the draft of the revised DPA is still subject to parliamentary debate and therefore the final wording remains uncertain (see ‘Update and trends’). Only the owner of a data collection that regularly processes sensitive personal data or personality profiles or regularly discloses personal data to third parties has an obligation to register such data collection with the FDPIC. A data processor that transfers personal data outside of Switzerland is under certain circumstances obliged to notify the FDPIC of the data protection safeguards put in place (see question 31). Swiss law does not prescribe the appointment of an in-house data protection officer. the result of the violation of privacy occurs in Switzerland (provided that the violator should have expected the results of the violation to occur in Switzerland). Personal data may only be transferred outside Switzerland if the privacy of the data subject is not seriously endangered, in particular due to the absence of legislation that guarantees adequate protection in the jurisdiction where the receiving party resides. The FDPIC has published on its website a list of jurisdictions that provide adequate data protection. The European Economic Area countries and Andorra, the Faroe Islands, Guernsey, the Isle of Man, Jersey, Monaco, Canada, Argentina, Uruguay, Israel and New Zealand are generally considered to provide an adequate level of data protection as regards personal data of individuals (however, many do not with regard to personal data of legal entities); while the laws of all other jurisdictions do not currently provide adequate data protection. disclosure is made within the same legal person or company or between legal persons or companies that are under the same management, provided that those involved are subject to data protection rules (for example, binding corporate rules) that ensure an adequate level of protection. In cases of safeguards, such as contractual clauses or binding corporate rules, the FDPIC must be notified of such safeguards. The FDPIC can review the safeguards during a period of 30 days. The data transferor does not have to wait for the result of the FDPIC’s review or obtain approval. Moreover, if personal data is transferred outside Switzerland on the basis of safeguards that have been pre-approved by the FDPIC (for example, the FDPIC’s model data transfer agreements), the FDPIC must only be informed about the fact that such safeguards form the basis of the data transfers. personal data must not be processed against the explicit will of the data subject. an overriding private or public interest. collects personal data on a person of public interest, provided the data relates to the public activities of that person. In general, personal data may only be processed for the purposes evident to the data subject at the time of collection or provided for by law. Therefore, selling personal data to third parties is generally only permissible if the affected data subject at least implicitly consented to such use of its data. In cases where sensitive personal data or personality profiles are concerned, explicit consent is required. Where the data subject has made its data generally available without explicitly prohibiting its processing, such processing is assumed to be permitted unless proven otherwise. However, whether consent is necessary for selling data collected from such generally available sources needs to be evaluated on a case-by-case basis. There is no statutory requirement or judicial practice concerning form, but prevailing opinion considers such information to be sufficient if it is placed on a data protection or Q&A sub-page or similar. The cookie banners or pop-ups which are often seen on websites of other European countries seem to be dispensable, although this has not yet been subject to judicial review. Pursuant to Swiss data protection law, personality profiles are a collection of data that permits an assessment of essential characteristics of the personality of a natural person. Consent for the processing of personal data must be given expressly in the case of the processing of sensitive personal data or personality profiles. Private persons must notify their data files to the FDPIC if they regularly process sensitive personal data or personality profiles. There is no general data security breach notification obligation under Swiss data protection law. As a rule, it would contravene general principles of tort law to provide for an obligation of the violator to proactively inform the damaged person or persons. Nevertheless, the FDPIC advised lawmakers to oblige providers of social networking sites to inform data subjects of data breaches. The DPA is currently being revised. Amendments are expected to include extended information and notification duties (eg, regarding data breaches) and the obligation to conduct data privacy impact assessments in certain cases. See question 29 for more information on the revision of the DPA. Regarding the ‘right to be forgotten’, the situation in Switzerland is currently unclear. As the Court of Justice of the European Union’s decision of 13 May 2014 regarding the deletion of certain Google search results is not applicable to Switzerland, it is controversial whether such right to be forgotten could also be enforced under Swiss law. Some search providers (for example, Google) accept deletion requests with regard to individuals from Switzerland whereas others (for example, Yahoo) do not. Automated sending of mass advertising by means of telecommunication technology, whether done by oneself or through a third party, is generally prohibited. This includes without limitation spam emails, texts and other instant messages, and faxes but not physical mail. The telecommunication service providers are under a statutory obligation to combat this type of mass advertising. This kind of marketing is only permissible if the sender fulfils the following criteria: obtaining consent from the recipient beforehand (opt-in); disclosing its identity in each transmission; and providing a convenient way of declining further advertisements, which must be free of charge and pointed to in each transmission. There are no formal requirements for giving consent. In practice, some online businesses use a double opt-in approach by asking for a user’s permission for further advertisements during sign-up or checkout procedures, using a simple check-box, followed up by an email with a confirmation link; while others use a single opt-in process without a separate confirmation link being sent to customers. As an exemption, consent is not required when a company sends out mass advertising to its existing customer base which has already purchased goods or services in the past, provided that the company advertises its own products (that is, no mailings to the company’s customer base for third parties) and the advertised products are similar to those previously purchased by that customer. The law does not specify for how long the company can use such customer data for mass advertising, but a period of about one year from the time of sale is generally considered adequate. The company must in any case still state its identity and provide and point to an easy and free way of declining further advertisements. The rights of individuals under the DPA are the right of access, the right of rectification, the right of erasure and the right to object to the processing or disclosure of personal data. Any data subject concerned may exercise these rights without restriction as to its residency. Since Switzerland does not in principle distinguish between online and offline transactions, sales concluded online are subject to the usual taxes, such as VAT as well as taxes levied on certain product categories (eg, alcohol and cigarettes). The VAT (current rate is 7.7 per cent for most goods and services) must be included in the price. Under certain conditions, no Swiss VAT applies (eg, in the case of export of goods or services abroad). Placing a server abroad does not affect the tax responsibility of companies established in Switzerland. For a foreign company to fall under Swiss tax authority, a permanent establishment within the territory of Switzerland is required. 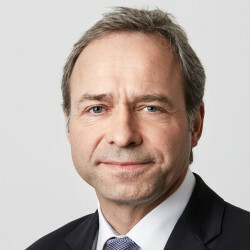 Whereas merely operating a website will not usually create a permanent establishment and will therefore itself in general not lead to a Swiss tax exposure, placing a server (or several servers) within Switzerland may amount to a permanent establishment, and such set-ups should be assessed on a case-by-case basis. Companies must register with the Federal Tax Administration within 30 days of fulfilling the statutory prerequisites for VAT liability. Domestic internet sales are in principle taxed the same way as domestic offline sales. If goods that have been imported into Switzerland are physically re-exported unaltered, import duties and taxes may be reimbursed provided that certain criteria are met. In terms of transfer pricing, transfers between different affiliates must be done at arm’s length - namely any charges or prices paid for services or goods must not exceed fair market value. Under the GHA, the use of a telecommunication network such as the internet for carrying out games of chance is prohibited. The GHA expressly bans the operation of internet-based gambling services in Switzerland. As compared to physical (offline) casinos that can be operated under a licence from the supervisory authority, the Federal Commission of Gambling Houses (FCGH), internet gambling activities are not eligible for authorisation. Violation of this prohibition can result in fines (of up to 1 million Swiss francs), imprisonment (of up to one year) or the seizure or confiscation of the proceeds resulting from illegal activities, or both. In recent years, the FCGH has taken criminal actions against several individuals who operated online gambling houses from Switzerland. The Swiss parliament passed a new FGA in September 2017, which is intended to replace the GHA and the Federal Act on Lotteries and Commercial Betting. Among other things, the FGA allows online gambling websites if they are operated by a licensed Swiss casino. To combat foreign online gambling platforms being offered in Switzerland illegally, ISPs are obliged to block access to such gambling websites. However, the new FGA will be subject to a popular vote in June 2018 and it is therefore uncertain whether and when the new law will enter into force. While operating games of chance over the internet is currently prohibited in Switzerland, taking part in such games is not a criminal offence. However, any financial amount resulting from such activities may be confiscated. If the FGA enters into force (see question 43), licensed operators of online gambling platforms will have to implement a number of measures to protect players from excessive gambling. Among other things, appropriate controls must ensure that minors will not be admitted to such platforms. The transfer of assets can trigger corporate income taxes, real estate transfer tax and VAT. However, such taxes may be avoided or reduced in case of restructuring scenarios. In addition, withholding tax consequences can result if transfers are made below fair market value to a supplier that is a related party. However, in practice, these tax consequences are not a significant concern, as usually only a few assets of value, if any, are transferred. In most cases, outsourced services provided by a supplier to a local customer trigger a Swiss VAT charge. If the customer’s turnover is subject to Swiss VAT, this will usually be of little concern as the customer is entitled to reclaim charged Swiss VAT in full. However, if the customer’s turnover is not fully subject to Swiss VAT (eg, if the customer is a bank or an insurance or healthcare company), the outsourcing may give rise to substantial additional Swiss VAT costs, as the customer can only partially reclaim Swiss VAT charged by the supplier. As a rule, service fees charged by the supplier qualify as deductible expenses for corporate income tax purposes at the customer level. However, where the supplier is a related party, the service fees charged must meet arm’s-length criteria. To the extent these charges exceed fair market value, they qualify as hidden dividend distribution, in principle subject to 35 per cent withholding tax (depending on the specific case, such withholding tax may be partially or fully refunded to the recipient of the hidden dividend) and not deductible for corporate income tax purposes. Any data subject is protected from its personal data being processed in a way that is not in compliance with the law or used for purposes other than those communicated or apparent to the data subject, unless the data subject consents to this processing (or unless another statutory justification applies). However, personal data may be given to outsourcing suppliers based on a contract or statutory law if the customer ensures that the supplier will only process data in a way that the customer is itself entitled to, and that the supplier will comply with the applicable data security standards, and if no statutory or contractual secrecy obligations prohibit this data processing. the transferor must inform or consult with the employees’ representatives or, where there are none, the employees themselves in good time before the transfer takes place (article 333a of the CO). Article 333 of the CO applies to the transfer of a business, or part of a business, retaining essential parts of its identity (that is, its business purpose, organisation and individual character). According to court practice and doctrine, ‘business’ is any permanent self-contained organisational unit which is economically autonomous, and ‘part of a business’ is an organisational unit that lacks economic autonomy. The identity of a business is retained, in particular, if infrastructure, operating resources and customers are transferred to the transferee while the management remains essentially unchanged and the commercial activities continue to be carried out in the same premises. It is essential that the transferee continues or resumes the same or similar business activity. In outsourcings that do not fall under article 333 of the CO, the transfer of employment agreements requires the consent of each employee. The effects and risks of a transfer of employees can be addressed contractually to achieve, to the greatest extent possible, a clean cut on the date of the transfer. Due to the joint liability of the transferor and the transferee for certain employee claims according to statutory law, the parties often agree that one party will be indemnified by the other party for claims that arise after the transfer. Under Swiss law, there are no provisions specifically protecting databases as such. Depending on the actual compilation and structure of the collected data, a database may be copyrighted, though this is rarely seen. The Unfair Competition Act provides some protection against competitors reproducing data from a database by prohibiting them from taking over a marketable work result without sufficient effort, but court practice suggests that this protection can only be called upon under very specific circumstances and it is therefore often bypassed (see question 23). The first part includes the revision of only those provisions of the DPA that are required due to the implementation of Directive 2016/680 of 27 April 2016 on the protection of natural persons with regard to the processing of personal data by competent authorities for the purposes of the prevention, investigation, detection or prosecution of criminal offences or the execution of criminal penalties, and on the free movement of such data. This Directive must be implemented by Switzerland as it forms part of the Schengen acquis. The scope of the Directive is limited to the processing of personal data by competent authorities for aforementioned purposes. Accordingly, it only imposes additional obligations on authorities conducting such processing as a controller and natural or legal persons processing personal data as a processor on behalf of such an authority. A new FGA was passed by parliament in September 2017. The FGA is intended to replace the GHA and the Federal Act on Lotteries and Commercial Betting and introduced a number of changes, particularly by allowing online gambling platforms operated by licensed Swiss casinos and providing for a blocking mechanism of illegal foreign gambling websites. However, the FGA will be subject to a popular vote in June 2018 as enough signatures of voters have been collected to force a nationwide referendum. A draft for a revision of the FCA was published in September 2017. Among other things, it contains an obligation of internet hosting services to prevent copyright infringing content that has been removed from the their hosting service from being made available again on this service. This measure is intended to supplement existing takedown obligations of ISPs to avoid the tedious notification process for every single infringement the copyright holder becomes aware of. However, the draft of the revised FCA is still subject to parliamentary debate and it is therefore uncertain whether and when these provisions will enter into force. Lenz & Staehelin is one of Switzerland’s leading law firms. With offices in Geneva, Zurich and Lausanne, its role in the Swiss and international business communities is highlighted by the fact that it lists many of the world’s most successful and reputable companies, organisations and institutions, as well as individuals with interests in Switzerland among its clients.